18 soft coffee pods for domestic coffee machines (Senseo, etc.). 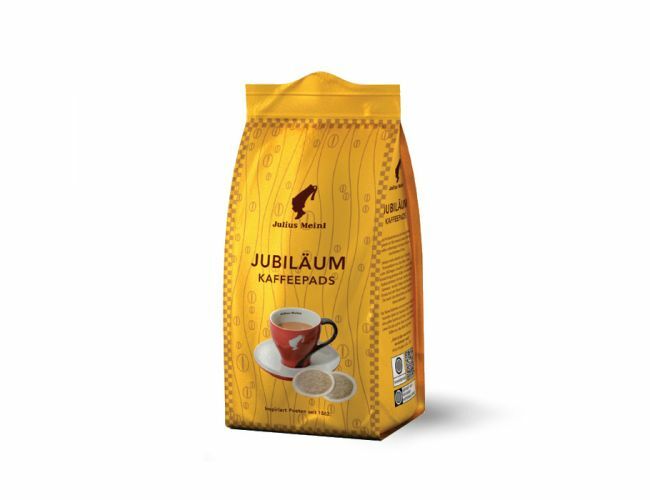 Medium-light roast, this premium coffee is a genuine Viennese blend from the best highland coffees of the world. Central American coffees are blended with coffees from Papua New Guinea to give Jubilee its fine acidity and full-bodied aromatic taste. I have a Melitta one cup coffee maker that uses the coffee pads. They are difficult to find. Thank goodness Meinl makes them. I love this coffee. The smell alone makes me think of Vienna.